I absolutely love our industry. I love the growers, the distributors, the wholesalers, the bucket shops, the florist shops, the grunts and the designers. When you research the history of our industry and how we grew to global distribution, it is simply mind boggling. The number one question most people ask me is, "How do flowers survive being shipped across the globe and delivered right into the florist shop looking fresh?". Yes, those tough little blooms travel the world overnight. They manage to survive, bloom and thrive just for your enjoyment! Flowers are amazing. I am fortunate to learn all about our industry right in San Francisco. 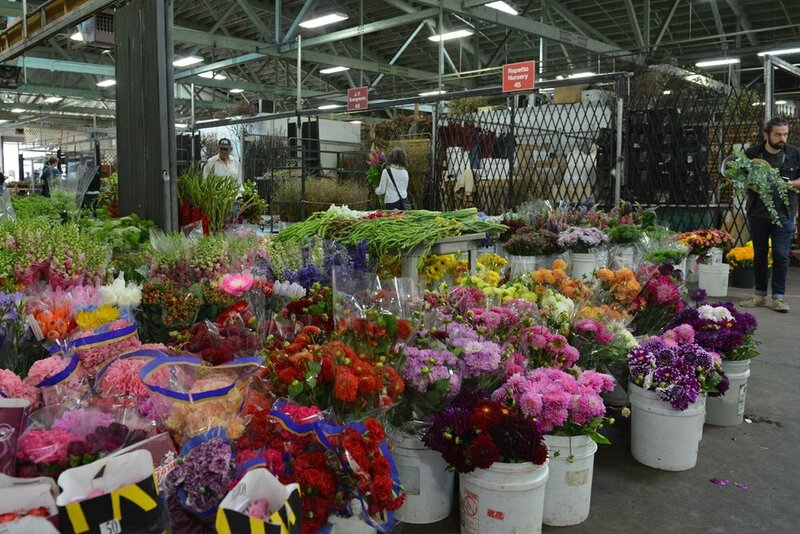 The San Francisco flower market is steeped in the florist history. It is one of the few wholesale markets in the United States that was owned and run by flower growers; immigrants of Japanese, Italian and Chinese descent. For me, the SF flower market reminds me of a great big farmer's market. The SF market is located on Sixth and Brannan Street, right next to a homeless shelter. Before Pinterest headquarters moved in across the street, there were abandoned warehouses, sleazy night clubs and dark musty drinking bars located in that area. I remember driving to the market at 2:00am on wednesday, market days, and hoped my old beat up car would make it into the gated parking lot before breaking down. I wished to find a parking stall; but, if not, I double parked and left my key in the ignition for some other florist to move if they had to leave earlier than me. You see, the SF flower market was based on an "old boys" and a "hand shake" industry. You walked into the flower market, the size of football fields and visited the stalls of growers and distributors. One person specialized in tropicals, another in greenery and another in roses. Some would have a large variety of flowers and foliage. Those guys are the big distributors that have the buying power to purchase from many different farms. Cash was king at the SF market and you can bargain for the whole lot of (for example) red roses if you paid in cash. The best quality flowers went to the "old boys" network. The people that came every week between 1:00-4:00am and built those strong "face to face" relationships. Those are the weekly flower distributors that drove several hundred miles every week to supply materials to rural flower shops. Their routes covered Clear Lake to Yosemite to Bakersfield and to Santa Barbara. 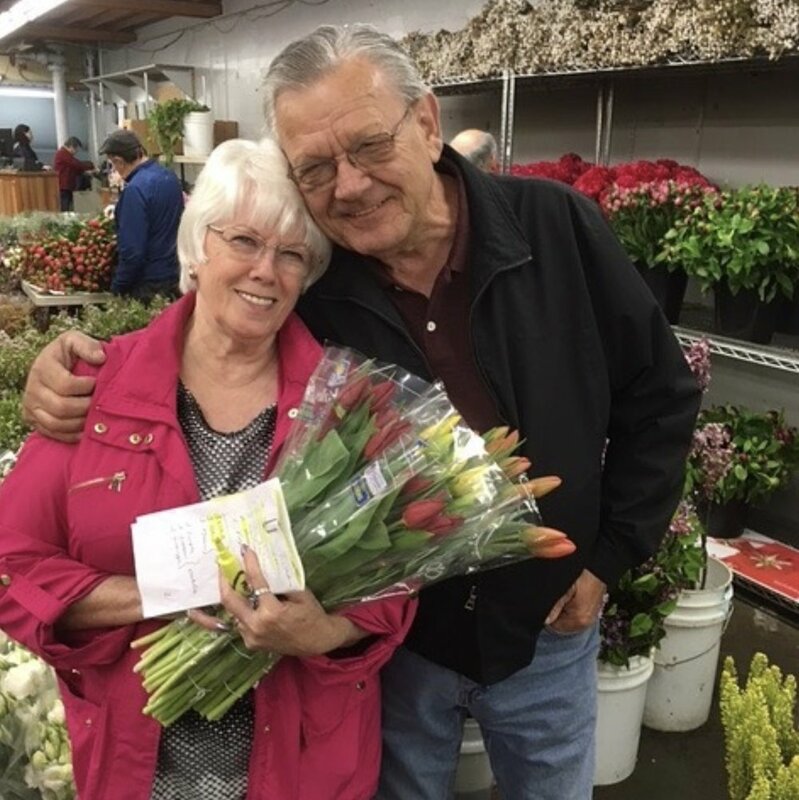 They have that special bond of hard work ethics, the knowledge of an unassuming industry and the weekly gossip of growers, distributors and florists. A florist is only as good as their wholesaler. They can make or break a florist. They can bring you bad moldy roses, broken stems, flowers that never bloom or flowers that shrivel up the following day. They can even forget to bring you important flowers for a bride or change the color of flowers for that special order. On the other hand, the best wholesalers can provide credit for a struggling shop before Valentines Day. Or carry the note for a few months to help a new floral shop get established. Even better, they can watch the fluctuation of prices, negotiate the best price for you or go to bat when your special order is slapped with an outrageous price. Better yet, they can bring you the best quality flowers on the market every single week; reject bad quality; second guess a flower substitution when the first request is not available; and hunt everywhere to fill your order; all just for you. The best wholesalers know the ins and outs of the market. They have seen florists start and bankrupt their business, growers sell their land to tech companies, semi trucks break down filled with red roses for Valentines day, airlines cancel flights with tons of flowers on board. And still, no matter what, my flower order is intact, complete and received just for my customers. So you see, the wholesalers and growers really do make or break a florist. The good ones, well those are the keepers! That is where my loyalties lie. They are simply the foundation of any good florist.